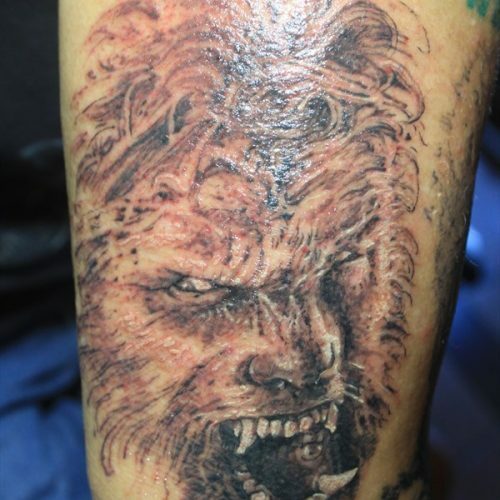 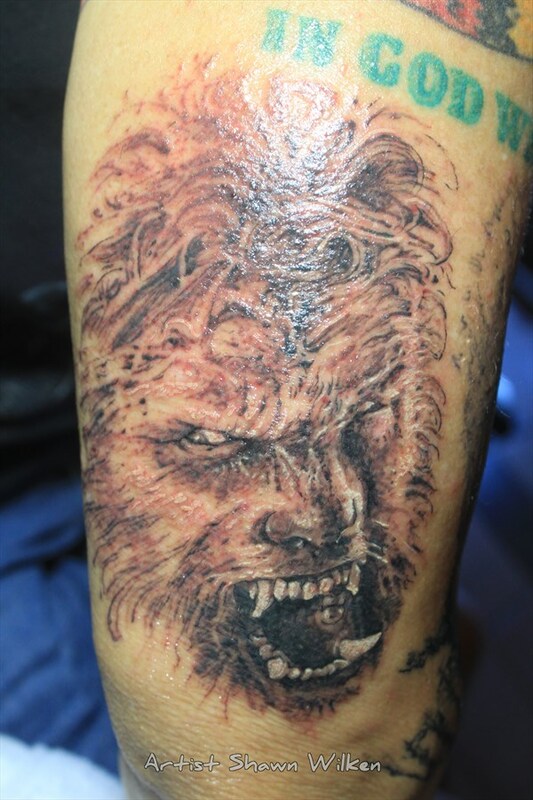 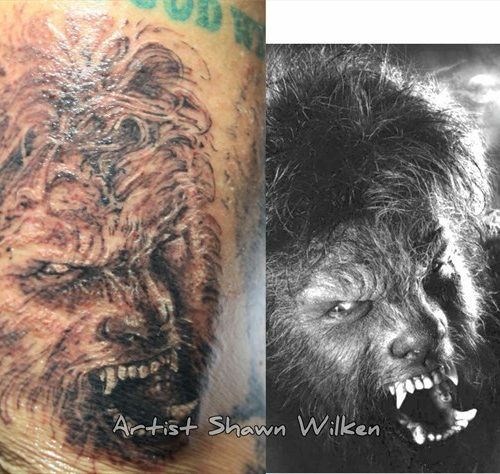 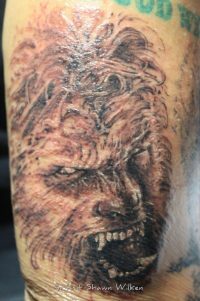 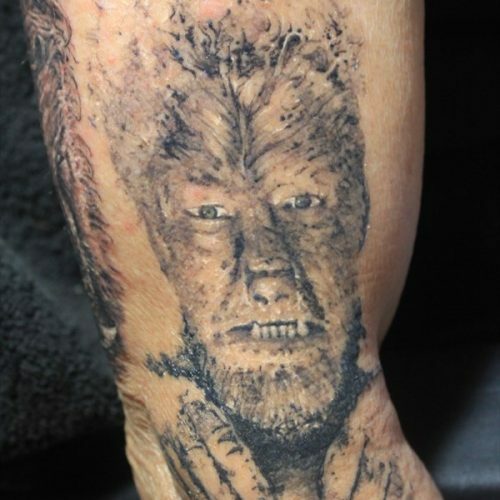 This tattoo is based on the Lon Chaney.Jr movie the wolf man. The Wolf Man is a 1941 American drama horror film written by Curt Siodmak and produced and directed by George Waggner. 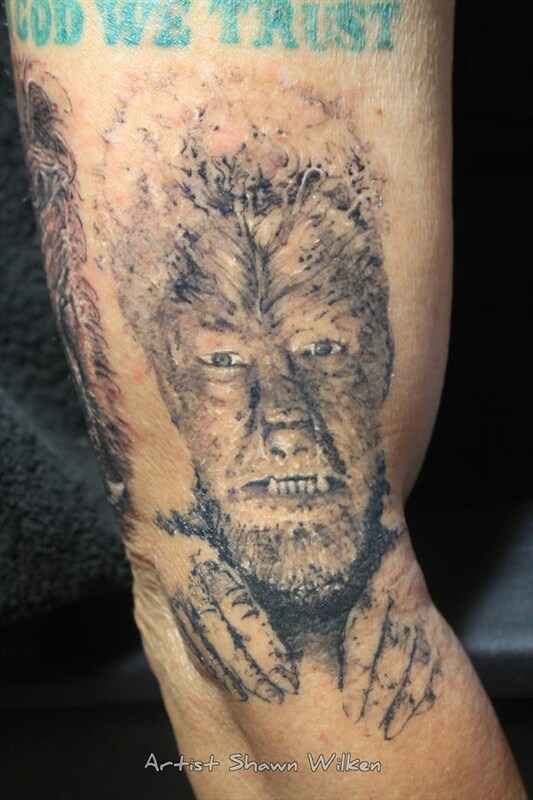 The film stars Lon Chaney, Jr. as a werewolf named “The Wolf Man” and features Claude Rains, Evelyn Ankers, Ralph Bellamy, Patrick Knowles, Béla Lugosi, and Maria Ouspenskaya in supporting roles. 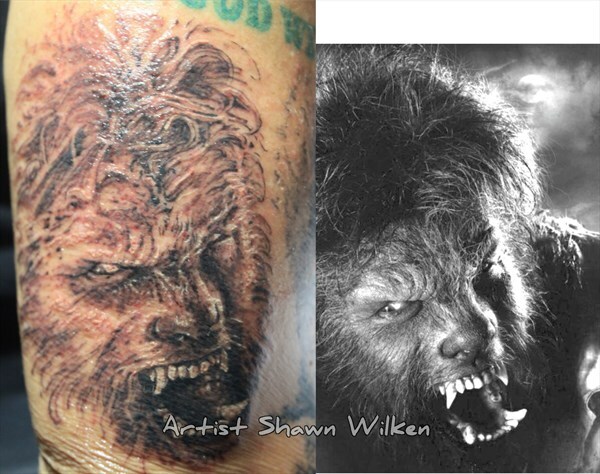 The title character has had a great deal of influence on Hollywood’s depictions of the legend of the werewolf. 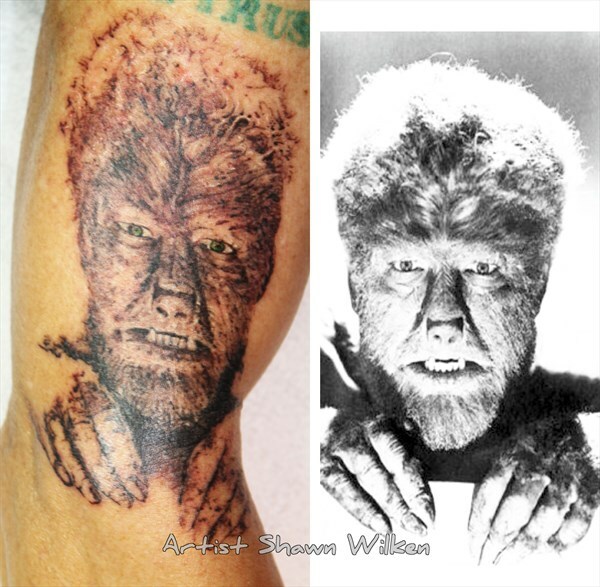 The film is the second Universal Pictures werewolf film, preceded six years earlier by the less commercially successful Werewolf of London (1935).